Compliance isn't hard, paperwork is. Build forms, take photos, track assets, and gain insight into your safety and quality processes with ease. Relax and keep everyone on track. Take control of your program, empower your customers, and manage your team with powerful tools built for the way you work. Build your own forms, create workflows, brand your process, and organize your team to create a customized program that fits you. Keep customer compliance records up-to-date and in one place. Plan for work in advance or see relevant history for all of your customers. InspectAll is better when you work together. Get your team on board quickly, collaborate securely, and standardize your processes. 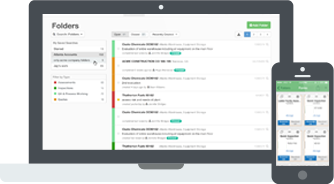 InspectAll helps you work faster and smarter in the field, and it helps you run a more efficient, standardized compliance program for your team.  Imagine capturing all of your inspections, audits, and forms with an App that automatically builds a powerful database that you control. 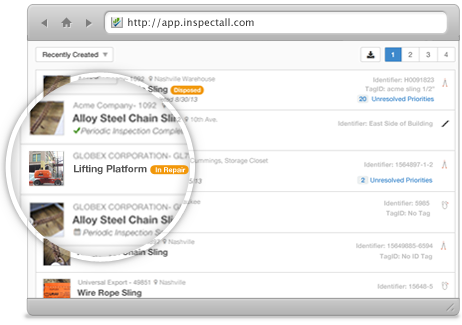 InspectAll gives you a framework built on industry best practices to take your process mobile and discover powerful insights about the information coming in from the field. Forget going back to the office to type things up. 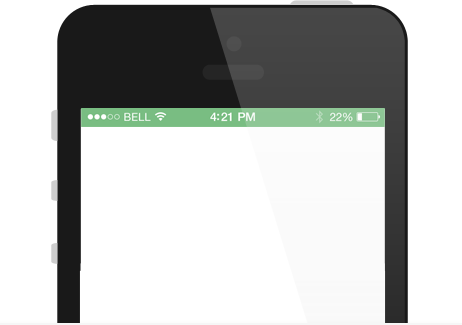 Use InspectAll to generate powerful, instant reports to give your customers before you leave their site. Whether you’re working with a few customers or a few thousand, you’ll have everything that you need. Forget about typing with features like auto-complete answers, canned comments, procedures, and calculated responses that help you be more productive. Your procedures, standards and files are always available, so you’ll know exactly what the regulations or procedures say when you need them. 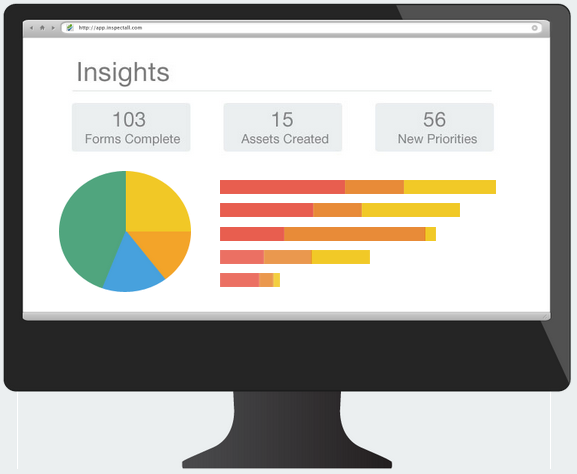 Intuitive Dashboards help you identify trends and manage your work. You'll even be able to stay up to date while you're away with notifications that automatically email you important findings.